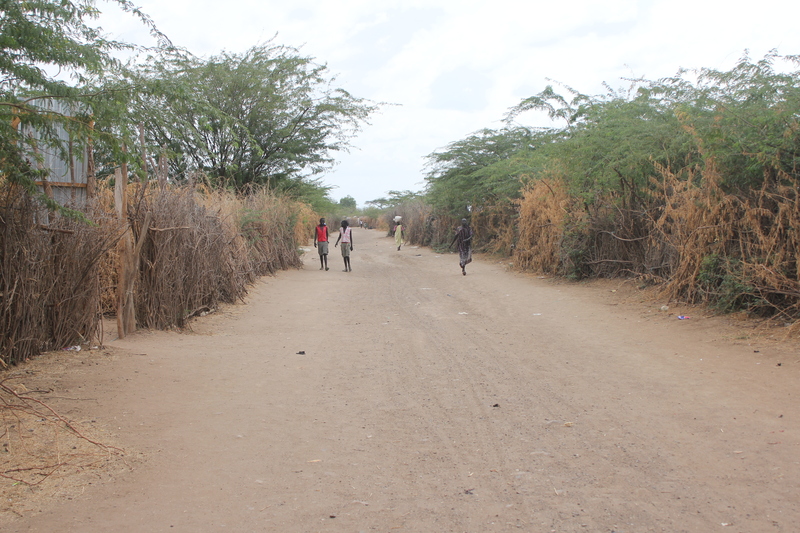 The fight broke out in the morning of 4 June, 2014 between the youths at Kakuma 1 zone 4 of Kakuma refugee camp. The new flare up of communal fighting escalated following some land disputes back in South Sudan. The incident started inside the community at about 10 am on the material day and spread to the wider zone 3 and 4 of Kakuma 1 section. According to some community members interviewed by KANERE, they were caught unawares on the day of the fight. “I was at the water point when a group of my clan men alerted us about the spreading fight, we all ran to collect our babies” Ayier Adual told KANERE. Three refugees from this community died following the attacks at ‘HongKong’ section of the camp. Diing Atem and Duot Thon Yak, aged 20 and 24 years respectively, were from the Ayuel clan. Duot Deng Mayen, from the Diauechuk clan, was a pupil at Shambe primary school. According to an eyewitness, Duot Deng sustained a serious cut in the head from a sharp machete that led to excessive bleeding and death a day after the ugly incident. Weapons used by attackers on both sides included: metal rods, machetes, and long sticks while others carried stones in bags. Several member of this community who participated in the fight received minor flesh wounds and some sustained dangerous injuries. While many of the victims were treated at the refugee clinics and discharged, the third casualty died on Thursday the 5th while receiving treatment at the camp clinic. Police have arrested at least fourteen men in connection with the conflict between the two clans, while two men are from the Bahr-el-Ghazal community who deny any involvement in the fight and plead innocence. “The fight broke out in the day and I am arrested at the night while in my residential plot. I don’t belong to Diauechuk nor Ayuel. Is this just?” asked JK during interview. On the 6th of June, at least twelve people from the Ayuel group were apprehended and brought before the Lodwar law court where they were charged with murder with violence and bailed with Kenyan shilling 30,000 per person. The twelve men, who should appear before the Kakuma Magistrates Court, failed to turn up on the 17th June. The next court hearing is scheduled to take place on the 8th of August. According to a police official, some individuals from the Diauechuk community have run away and left the camp for an unknown destination but the police continue to hunt them. At least six people were seriously wounded on both sides and were treated in the camp clinics. KANERE learnt that the refugee leaders from the two affected communities made contradictory statements in favor of the groups they belong to. Members of the Ayuel community assumed that a group of about twenty people who contributed in the fight have fled the camp and crossed the border to South Sudan to escape the harsh court penalties in Kenya. Tension is still felt in this sprawling part of the camp which has recently been dominated by scores of insecurity problems at night. Police are vigilant with support from the community local guards against retaliation attacks. According to the Zonal leader, the two clans had rivalry over a land dispute back in South Sudan. “There are some element who had issues to do with land problems and such individuals bring problems to whole communities” said W. Mabior. KANERE continues to enlighten the refugee communities about the importance of peace and peaceful co-existence in refugee camps, where previous political ideologies have no meaning.